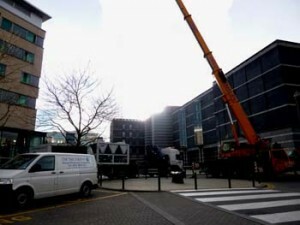 Chill Tech Solutions replaced one of the two water chillers serving the air conditioning to the a prestigious museum in Leeds, and were approached again the following year to replace the remaining water chiller. 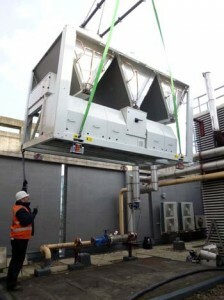 The existing Carrier chiller had served the museums Air conditioning needs since the opening some 16 years ago but was operating on R22 refrigerant which had to be changed prior to the HCFC phase out date of 31-12-2014. 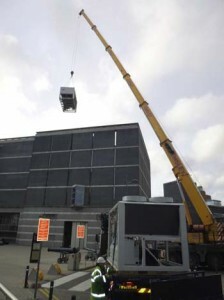 Chill Tech selected a Carrier air cooled chillers as replacements, the chillers were lifted into position during the late evening and the services connected within two working days to minimize any disruption to the Museums comfort cooling. This replacement is part of an on going energy saving program for the HVAC plant that will help both reduce the Museums running costs, whilst improving reliability for the future.